Sterling By Musicman Ray35 5-String Bass Guitar, Swamp Ash Body, Maple Neck, Rosewood Fingerboard, Music Man Humbucking Pickup, 3-Band Active Preamp, Black. The Sterling By Musicman Ray35 is based on the Music Man Stingray5, offering a nut width of 45mm (or 1.77 in) for a comfortable feel at the first position. Music Man designed humbucking pickup, Music Man Designed 3 band Active Preamp and Bridge are standard equipment. 3 way switch offers Series and Parallel wiring combinations. 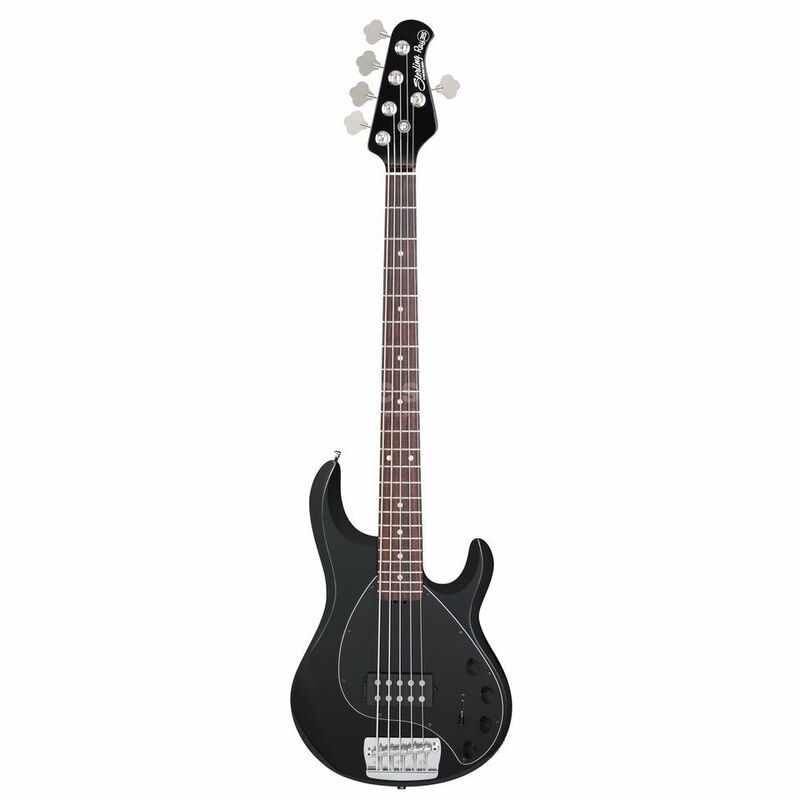 Featuring Music Man designed 6 bolt neck joint for all Sterling Ray35 basses: strong and stable with no shift in the neck pocket for superior tone transfer. The body of this bass is made of select Solid Lightweight Swamp Ash for percussive lows, subtle mids and expansive highs.